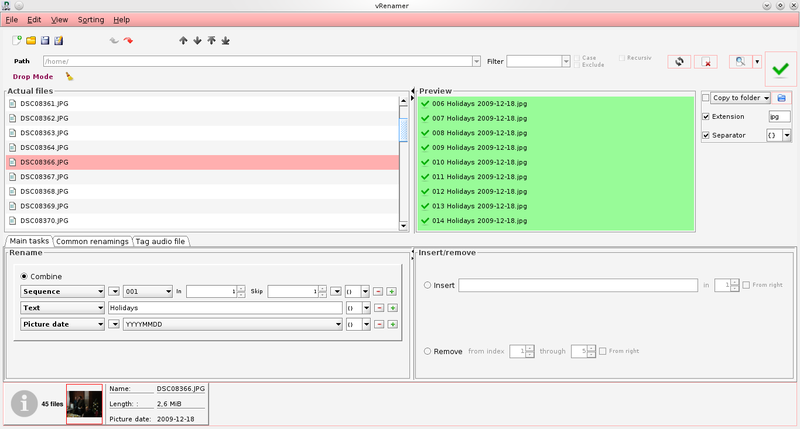 vRenamer is a full featured mass renamer application. Since it’s written in Java, works in all platforms, tested in Windows, Linux and Mac OS X.
It’s highly customizable and flexible with a clean and intuitive interface. Both novice and expert users can take advantage of awesome features. Regular expressions are available thoroughly. BUT advanced tasks can be performed without complex patterns.